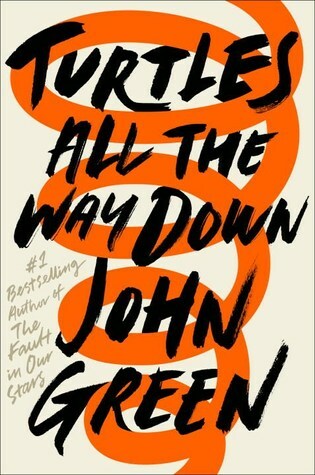 I’ve been waiting for this book to be released for months, ever since I saw this video on youtube where John Green explains so well what having OCD is actually like. I knew that this book was going to be reflecting on his own experiences and would therefore be a good portrayal of this mental health illness – which I do also suffer with. And it really, really was. I found myself taking photos of a lot of quotes in the book and just well and truly identifying with the main character. In this respect, this book was exactly what I had hoped it would be. Everyone who suffers with OCD, suffers and deals with it in their own unique way. They have their own experiences, their own triggers, anxieties, routines, etc so it would be impossible for any one book on OCD to be the perfect OCD book for everyone who suffers with it. But what I found helpful with this book, and other books with OCD protagonists (listed below) is that I saw myself in some of the quotes, routines and actions of Aza, thus I was able to feel just a little less alone. But on the flip side, it also made me question my own OCD. Yes, I did some of the things that Aza did but I also didn’t do other things or didn’t do things to such a bad extent and thus I felt like maybe I am just making a big deal of nothing. Maybe my OCD isn’t OCD at all, but just quirks. (I have been diagnosed by a health professional and even this line of thinking is part of my OCD at play) As you can see, I am aware that for me this is an irrational thought and not true. But I can’t help but wonder if, as a teenager, I would have felt the same way. I have suffered with OCD – from my knowledge – ever since I was 14 years old. However at the time, I had no idea I had OCD. I barely even understood that I had anxieties. I just figured I was a teenager going through being a teenager – you know? So if I had read this and not felt that my actions were as bad then I may not have gone to a doctor. And I worry that this is also how some teenagers of today may feel about this book. Obviously this is a difficult issue and I do not think Turtles All the Way Down is at fault here as it does show how serious and difficult OCD can be. But I feel that what I’m getting to is that we need more books which show OCD as manageable, hidden issues perhaps. Most of the OCD books I’ve read, the protagonists are aware of their health issue so I think I just want a book where someone is diagnosed as OCD. On a similar note, while reading this book, I kept feeling like something wasn’t quite right. I could not figure out where this feeling was coming from but it was a niggling thought at the back of my mind. It was only upon reading a review of the book that I realised what my issue was; Aza does not seem to have any other personality trait. She has OCD and that is all she is. There is never mention to any films or books she loves, or any other activity that she really does except think. I do know that this may have been to show how all encompassing OCD can be but I also just feel that it made her character feel a little flat to me. What do you think? Have you read Turtles? Did you like it?